“Leo Blech was a popular and prolific Victor artist in the 1920's and 30's whose career was wrecked by the Nazis late in life. It was resumed after the war, yet after a 20-year hiatus Blech seems to have attracted little notice outside of Germany, and his abundant shellac recordings were rarely transferred to newer media. 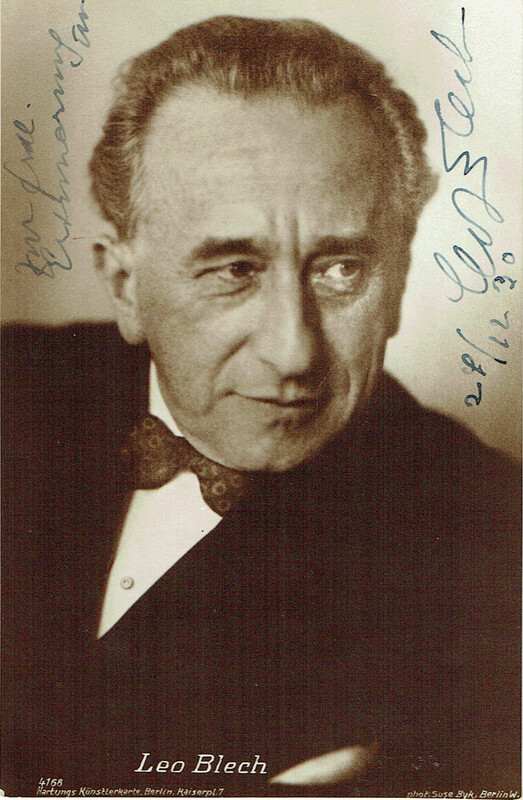 It was a bold thing for a Jewish conductor to return to Germany after the war."